After an incredible November, more wintry conditions take us into December. We’ll kick it off with a cross-country storm system tracking low across the U.S.
Nearly every mountain range has gained snow over the past week out west. Most notably, the Sierra Nevada range in California got absolutely dumped on to finish last week. 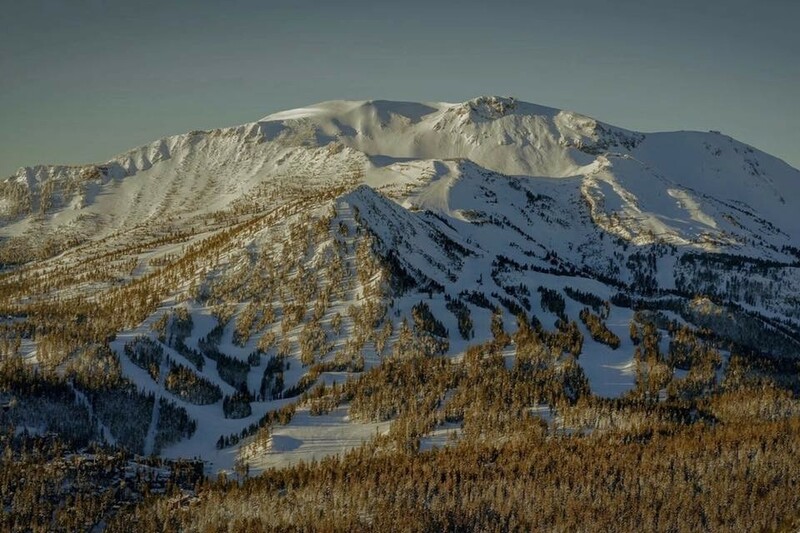 Mammoth Mountain boasts anywhere from 3-5 FEET of snow to finish off November. 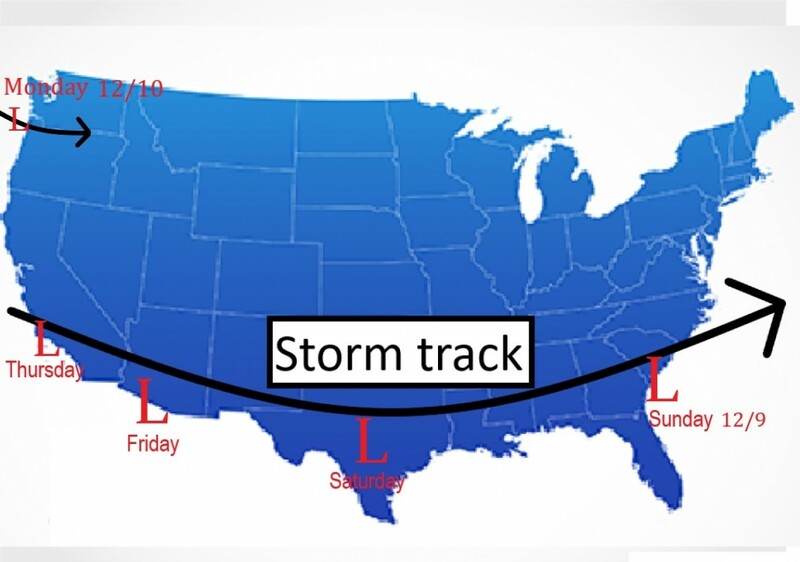 The next storm will track from southern California Friday, then cross the country over the following several days (eventually becoming the storm for the East on Monday and Tuesday, Dec 10-11). 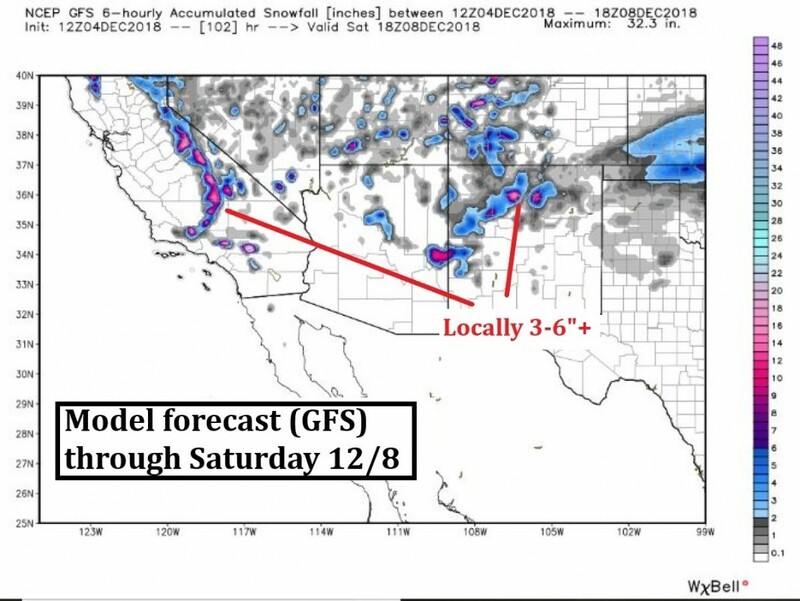 Moisture will surge into California Thursday, and spill into the mountains of Arizona, New Mexico, and southern Colorado by Friday and early Saturday (Dec. 7-8). Snow will be elevation dependent with this system, so expect many peaks to pick up between 3-6” of fresh snow, with localized higher elevations up to 10”. Look around Mammoth in California, as well as Arizona Snowbowl, Taos and Angel Fire in New Mexico for some great skiing by the weekend. For the Pacific Northwest, look for snow by early this upcoming week with moisture Monday-Tuesday. While totals are difficult to pinpoint so many days out, it looks like snow will fall for the northern Cascades in California, all the way up through Oregon and Washington, as well as the coastal range in British Columbia. The East is off to an incredible start to the season. Storm after storm pushing through the Northeast has developed a great base at many mountains. The Northeast will see a cold front come through late Thursday, with light flurries across upstate New York and Vermont by early Friday. But the real excitement comes farther south. 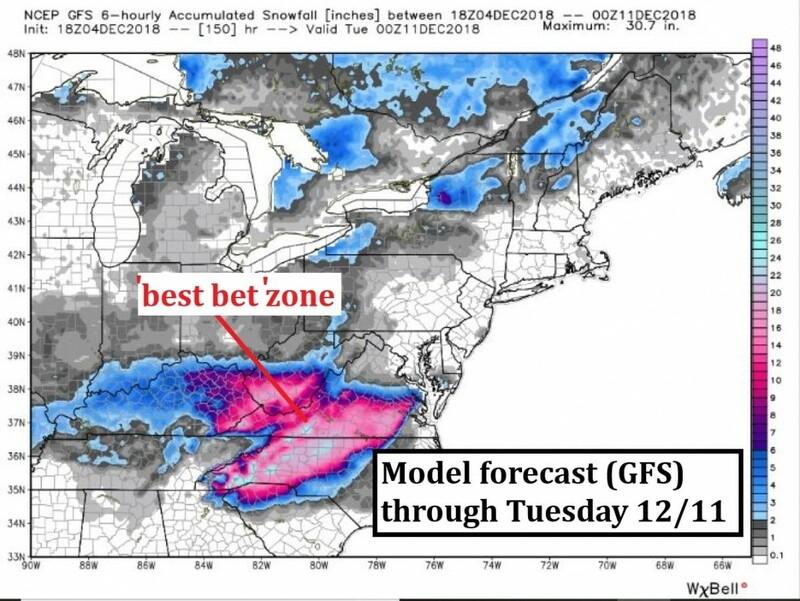 Going through early next week, the same storm from the southwest U.S. will travel eastward, bringing lots of moisture to the southeast U.S. With temperatures hovering near 32 for the southern Appalachian Mountains, the best bet for snow will be in the mountains of North Carolina, West Virginia, and Virginia by Monday and Tuesday, December 10-11. We’re talking several inches and, for some, even a foot or more. 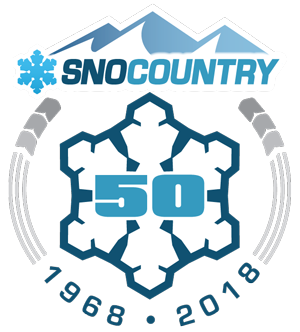 Get ready, Sugar Mountain Resort, Cataloochee, and Beech Mountain Resort. Big snow incoming! Beyond this week, the pattern looks to turn even more active for the country. With lots of dips in the jet stream, there should be ample cold and plenty of opportunity for storms to develop. Check back in with next week's SnoCast to see what's developing in the weather.